In the last few decades, within the rhetoric of the “information age”, there is a growing enthusiasm for the (potential) benefits of the dissemination of Information and Communication Technologies (ICTs). This is further enhanced through eGovernment projects undertaken on a worldwide scale. However, a number of issues seem to defy such optimism as far as rural areas are concerned. The critical review of such issues question the thesis that ICTs undoubtedly benefit (human) development. In particular, this paper, drawing on data from a large-scale survey in Greece, identifies the marginal effects of a series of demographic, socioeconomic and spatial characteristics, and information sources on PC and Internet use on the part of young rural inhabitants, especially farmers. The results, pointing toward an emerging intra-rural digital divide, are consequently discussed vis-à-vis eGovernment projects, from the point of view of human development. 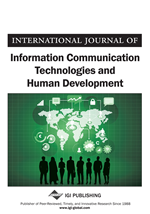 Over the last decades, within the discourse of ‘information/knowledge society/economy’, the (potential) impact of Information and Communication Technologies (ICTs) on (sustainable) development, enabling low-cost creation, access and distribution of information, and re-structuring and re-organising the spheres of production, distribution and circulation, has become a much contested issue. Debates have also emerged concerning the ‘dream’ of the pioneers of the ‘information age’, who envisaged ICTs (particularly the Internet) as the mechanism towards self-government (Makinen & Naarmala, 2008; Norris, 2001; Quintelier & Vissers, 2008; Raman, 2008; Small, 2006). In particular, the use of ICTs in government (eGovernment) has been anticipated to have noteworthy potential benefits such as the improvement of the delivery of services to citizens, business and industry; the augmentation of transparency, efficiency and effectiveness; and, the reinforcement of democracy (i.e., through the spread of relevant and accurate information and democratic and participatory political ideas, and stimulating participation). Nowadays, there is indeed a growing, worldwide development of eGovernment initiatives, defined as “A government that applies ICT to transform its internal and external relationships” (UN, 2003a). According to the United Nations World Public Sector Report (UN, 2003b) over 173 countries had, by 2003, developed government web sites thus indicating a clear move towards (some form of) eGovernment. However, the term eGovernment, in spite of capturing the attention and efforts of politicians, businesses and citizens at various levels, is not unanimously defined. In the first place, debates exist as to whether concepts such as E-Government, e-democracy, digital government and E-Governance “are the same, different or complementary or whether they should be subsumed under the umbrella of E-Government research” (Helbig et al., 2009, p. 90). Secondly, some definitions are rather narrow, focusing on service delivery, reflecting thus the efforts of governments to advance the development of on-line public services, while others are broader and view eGovernment as an effort to transform government, that is to affect the level and style of political participation and transform the nature of politics (Beynon-Davis, 2007; Dada, 2006; Polat, 2005). Thus, eGovernment can be used as a broad concept, encompassing the transformation of both the business of governance (eServices and eAdministration) and governance itself (eDemocracy). The latter dimension denotes the use of ICTs to facilitate greater citizen participation, i.e., to support informed deliberation and enhance participation in decision making (Beynon-Davis, 2007; Helbig et al., 2009). ICT-supported participation in processes involved in government and governance has also been termed as eParticipation (Macintosh, 2006). In this respect, Mahrer’s model presents eGovernment as a continuous cycle of political communication between various actors from society-media-politics (Mahrer & Krimmer, 2005); for Muhlberger (2004) the Internet can reinforce the ‘virtuous cycle’ between political interest, political knowledge and participation. Finally, some authors argue for the need of a holistic conception for eGovernment that would escape solely technical considerations and would thus take full account of the socio-technical nature and thus of the complexity (human, technological, economic, managerial, organizational, social/cultural, and legal issues) of the phenomena (Beynon-Davis, 2007; Fuchs, 2009; Madon, 2005).